Policy and Procedure Review and Development – HIPAA policies and procedures development and maintenance is a common gap for HIPAA covered entities and business associates. Often templates are incorporated without sufficient customization, detail and granularity to reflect an organization’s actual environment. PrivaPlan provides expert analysis of your policies and procedures with detailed remediation work plans. 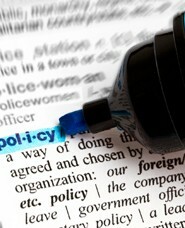 We also can write or update your policies and procedures and lift the burden of this time-consuming task.